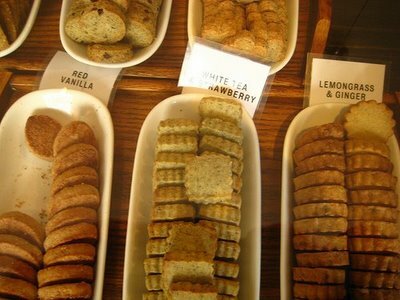 When I was recently tipped off by my friend Not Martha about the bittersweet story of Amai Tea and Bake House, I was immediately intrigued. Both Kelli and Andrew have always had a dream of opening up a bakery (a restaurant in Andrew’s case, but close enough). They are not afraid to say that they are still amateurs in the pastry world. 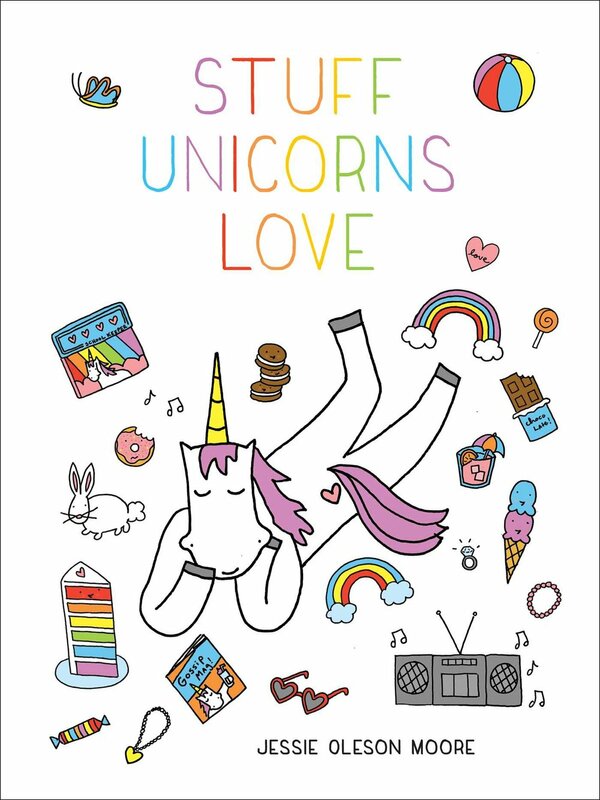 But in a way, Lovescool is a documentation of a journey to discover what sweet things are out there, why people love them so much, and perhaps what it takes to start something new. And the fact of the matter is, the world would be a lot better if it was just a touch sweeter. 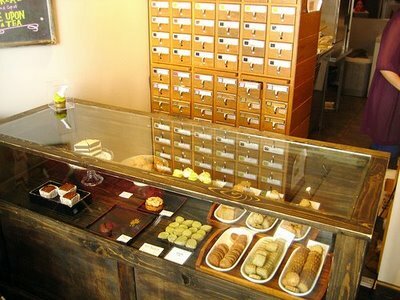 Their dream of opening a cafe was realized in October 2007, when the shop opened its doors at 171 3rd Avenue. They garnered accolades from the likes of the New York Times and Time Out New York; the cafe seating was frequently all taken, with lines going out the door. However, it wasn't enough to make it all work, as owner Kelli said in a letter last week on her site, citing that largely because of the failing economy, the shop would be closing its doors on April 19, 2009. Of course, having read this, my immediate reaction was sadness that I had never tasted their sweets--and so I put my favorite NYC Gumshoes, Phil and Matt, on the case. They were nice, but a bit mournful. People kept remarking about them closing. 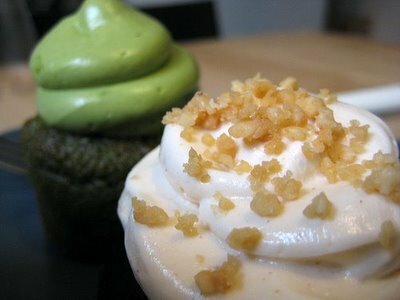 Got a green tea cupcake and a peanut butter chocolate. The green tea tasted a bit bitter--definitely an acquired taste for a cupcake, not awful though. The peanut butter had a good balance of sweet and salty--erring on the sweet side. 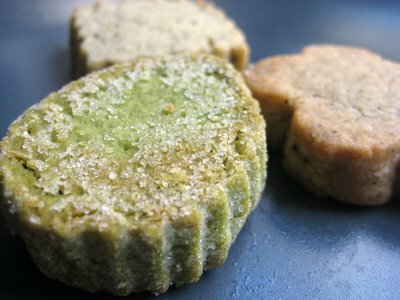 Also got some "tea cookies" although should have had them with tea- very dry. The green leaf one is green tea. The square is white tea strawberry (definitely the best) and the other is almond chai. At this point Amai's future is unclear, but we're all very happy that we got to experience a little piece of their story. If you're in NYC and would like to visit, then make haste--their last day will be Sunday, April 19. 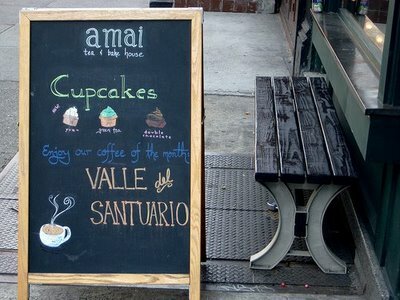 Amai Tea and Bake House is located at 171 3rd Ave., New York, NY; (212) 863-9630; online at amainyc.com.